Thinking of pallet projects you can make to improve your homestead? If you’re looking, I’m suggesting. You’ll love this selection of pallet projects you can make anytime you want! Pallets are not just practical but they’re also easy to use. Ever since I learned how to properly deconstruct a pallet, I just couldn’t stop looking for things to do with them. So if you’re like me who stores pallets just for fun, I’ve rounded up the ultimate list of pallet projects any homesteader can make. This will be fun! Before you get started with your pallet projects, why not build first a pallet workbench to make woodworking easier. Plus, this great DIY could also double as a work table for crafts or provides you extra table space wherever you need it. Make this unique DIY pallet table with just three wood pallets. It’s sure to be a great conversation piece. The top of this rustic table is flat, smooth, and stable, unlike many pallet furniture projects we have tried. If you’re thinking to have a rustic warmth and country look for your bedroom this pallet headboard is what you are looking for. This is an easy woodworking project anyone at any skill level can create. And while you’re at it, add a little rustic decor with your favorite quote. I guarantee you, this wonderful pallet sign is Pinterest-worthy! With just simple supplies, some artistic flair, and just a bit of elbow grease, you can create this stunning wall art that will surely shine on any wall or make the perfect surprise for that wonderful friend! If you’re not content with pallet wall art, build an entire wood pallet wall. It will surely create an instant rustic feel in any room. I love this homemade wine rack, it is super cool and easy to build! All you need for this pallet wine rack are a few common tools, wooden pallets, and screws. You can do it in just 2 hours! A shed is an essential part of any farm, I can’t imagine ours without one. 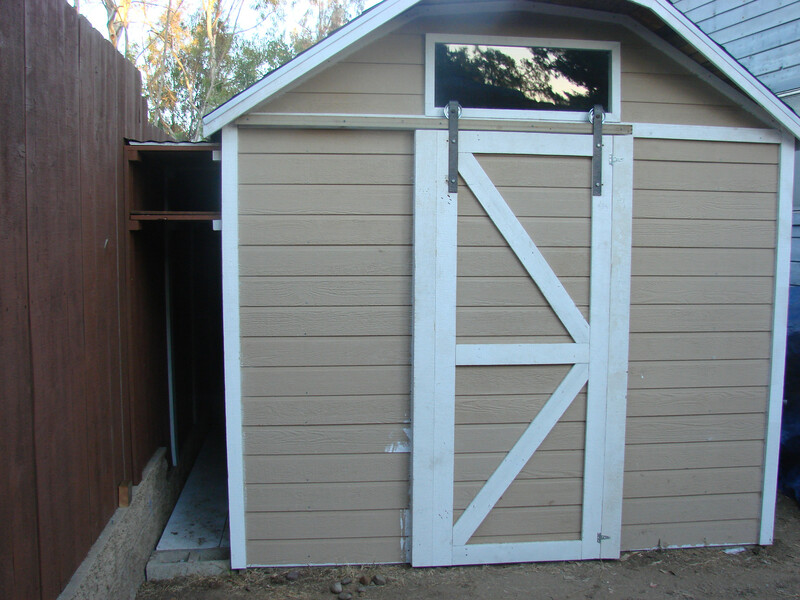 But sometimes building a shed might cost you an arm and a leg, because it can be a big project. I guarantee this pallet shed won’t cost you a fortune. Perfect for any homestead! 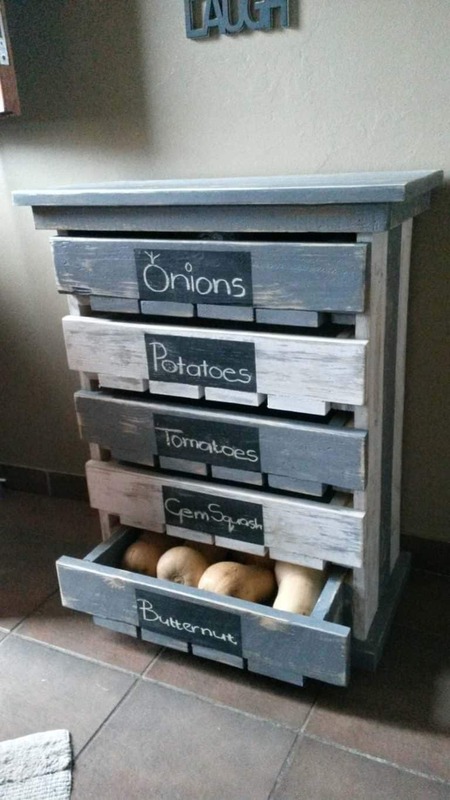 This is an obvious use for your pallet on the homestead, perfect for the homestead garden. If you’re a beginner I have no doubt that you can easily build this one, especially if you can get pallets for free. How cool can that be? This pallet hay feeder will be a great way of feeding your goats or any livestock you have in your homestead. It will make your job so much easier, just what a homesteader needs! 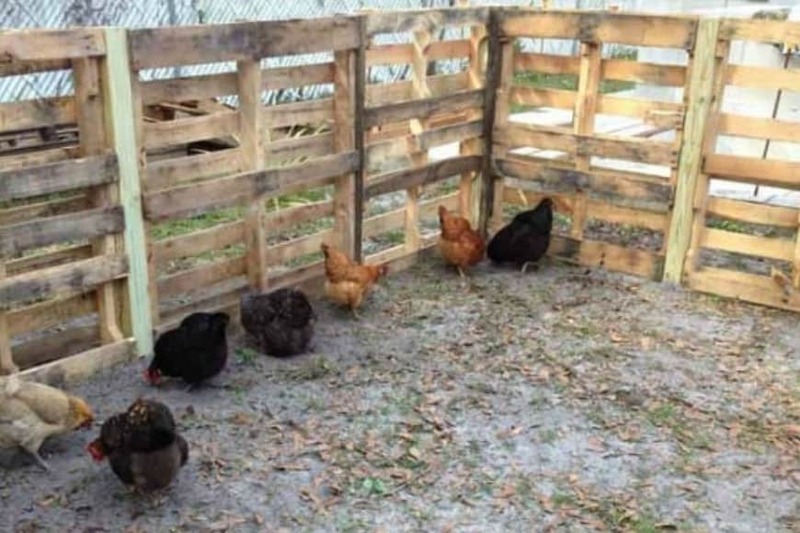 Your lively chickens will thank you if you build them this pallet chicken run. 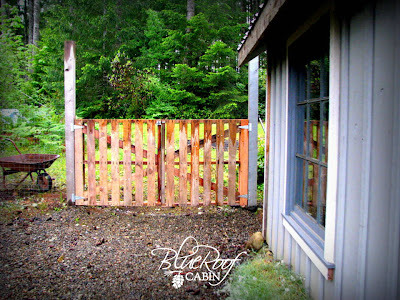 An easy weekend project that is sure to bring lots of joy, not just for your flock, but to your entire homestead. This veggie or fruit storage rack will keep your produce organized. Don’t forget the chalkboard paint so you can label them correctly each time. 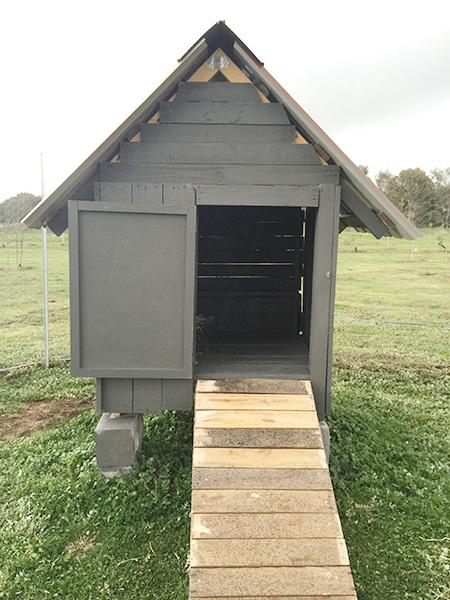 If you’re not planning to raise a lot of chickens or if you are just getting started with chicken keeping in your homestead, then this chicken coop idea may be the one for you. It’s small yet sturdy enough to house your small flock. Garden pallet projects are a great way to put your pallets to good use. Just like this pallet compost bin that only takes less than an hour to make yet will give your garden constant supply of healthy compost. A raised flower bed is a great woodworking project for beginners and experts alike. It will make a great addition to any garden. It’s the perfect solution to a spot in your garden where you find the hardest to grow plants. These outdoor pallet projects will sharpen your woodworking skills while creating backyard accents the whole family will enjoy! 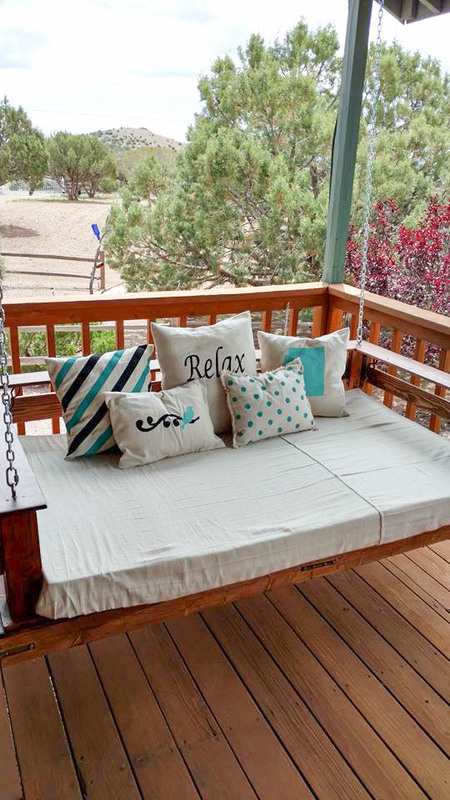 Take a hint with this porch swing, one of the best ways where I spend my hours observing my homestead backyard. Spoil your kids with a DIY teepee right in the heart of your homestead backyard! If you live in a windy area, we recommend adding slats at the bottom to prevent the teepee from falling over during strong winds and storms. That’s all for now, my fellow homesteaders! These 40+ easy to make pallet projects are just proof that pallets are very useful around the farm, yard, and even inside the house. Using pallets for homestead projects not only improves the quality of your life, but doing them can also be a perfect decision for your budget! Happy homesteading! So which pallet project will you try this weekend? Let us know below in the comments! Want another cool pallet project for your homestead? Here’s what we love here in our homestead, A Homemade Pallet Smoker!